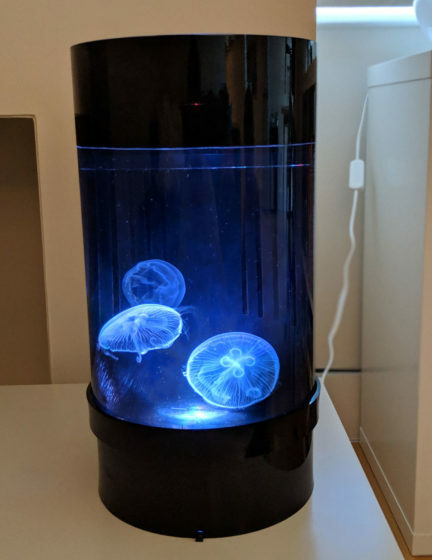 The perfect size tank for those looking to start a new hobby of keeping pet jellyfish. Easy to use dried food, comes with feeding spoon. 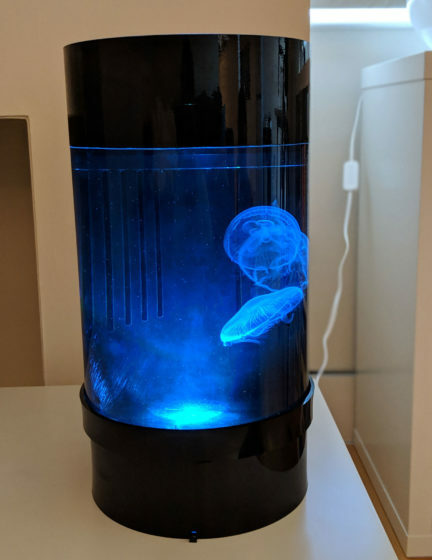 The ideal starter jellyfish, Moon Jellies are the toughest jellyfish species available. Keep on top of your water parameters with this easy to use saltwater test kit. Hatch your own live baby brine shrimp, for feeding direct to your jellies. High % hatch rate, jellyfish eat baby brine shrimp in the wild so this is the ideal food for them! 1 Bottle of our Caribsea Sea-Pure Saltwater is enough to fill the tank, and provide for your first month of water changes. How do our Starter Kits work? Order your Starter Kit online. will be delivered in 1-3 Days time. Set up your tank and fill with Salted RO Water. your water for the arrival of jellyfish. shop, or can be bought from our online shop. 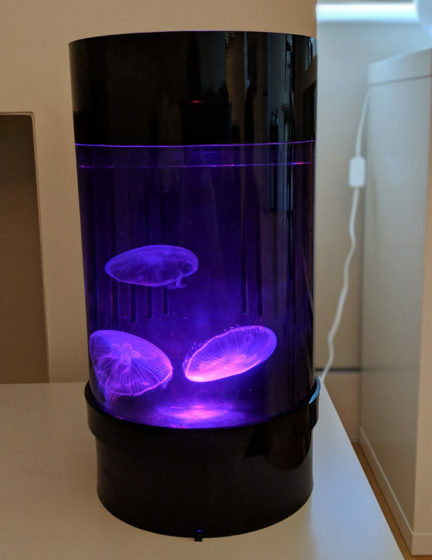 You're ready for your jellyfish! 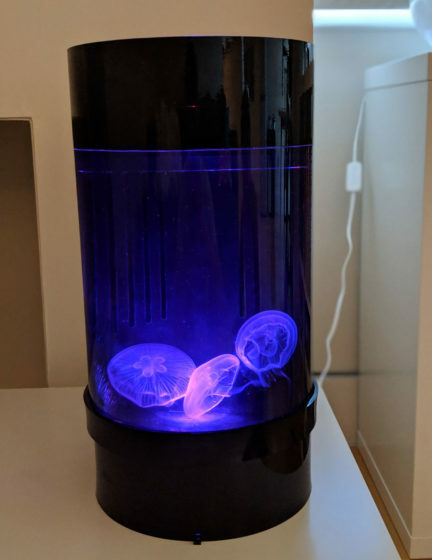 The Jellyfish Art Cylinder Nano “3 Jellyfish Premium Starter Kit” is the perfect kit for those wanting to keep jellyfish and have all the tools at their disposal! 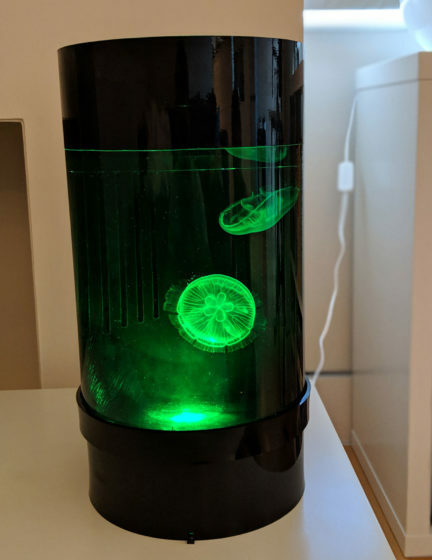 This bundle includes the Jellyfish Art Cylinder Nano Jellyfish Tank, by far the easiest jellyfish aquarium for those looking to start keeping jellies. 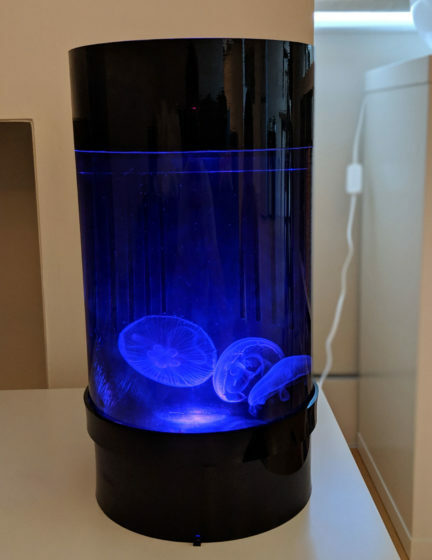 It also includes 3x Moon Jellyfish, and a pack of Instant Brine Shrimp, which should be enough food to last 1-2 months. Additionally the Starter Kit includes 1 Chemi-Pure Blue Nano pack, which keeps the pH of your water in check for the first month. We also include a bottle of JellyBio Maintain, which keeps your water full of that nitrifying bacteria goodness for when you’re doing your weekly water changes. In the Premium Starter Kit, we also include the additional extras that really make jellyfish keeping super easy. We include an API Master Saltwater Test Kit, allowing you to quickly and easily test your water, meaning you can always stay on top of when water changes are necessary. We also include a Hobby Artemia Grow Your Own Brine Shrimp Kit. 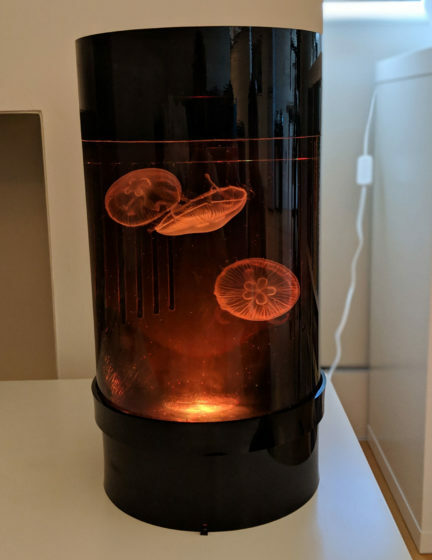 Jellyfish love freshly hatched brine shrimp. It also means your tank has less dirt build up, as live food doesn’t settle on the bottom of the tank like dried food does. It’s also really easy to use. 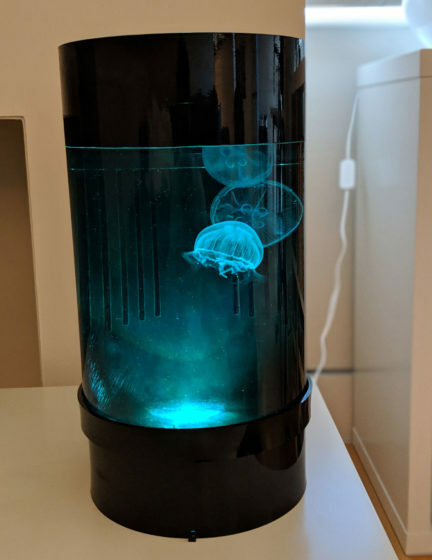 The Jellyfish Art Cylinder Nano is easy to set up even if you’ve never owned an aquarium before, and comes with full instructions. With just a press of a button, easily change between a choice of 15 colours! Or use one of 4 modes to let the tank cycle between colours in a smooth relaxing manner! Moon Jellyfish are the most popular and easiest of our species to look after. With no sting and beautiful appearance, especially under the tank’s lighting; Moon Jellies are the perfect starter choice of species. 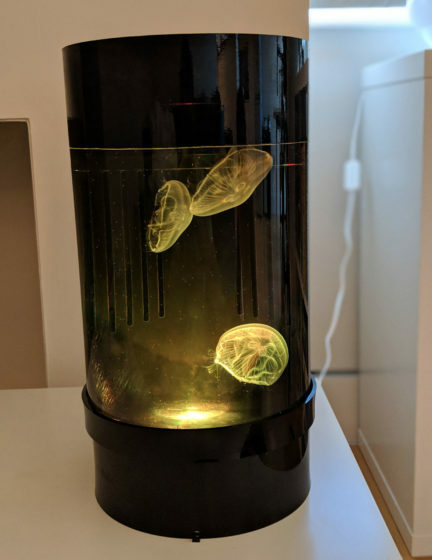 Moon Jellies can also ‘heal up’ damage from missed water changes or poor water quality, so can deal with mistakes you might make in your first time keeping jellies. 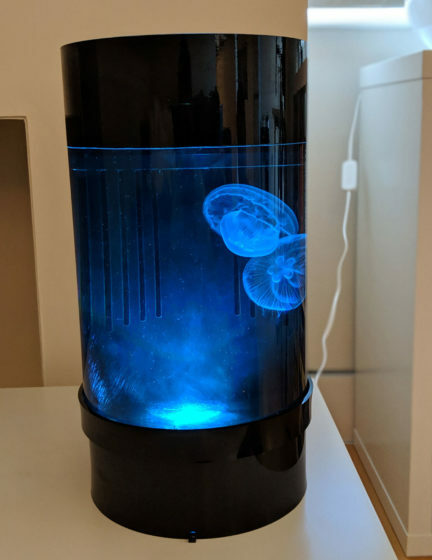 Other jellyfish species are still easy to maintain, but have their own unique traits which require closer attention than Moons. 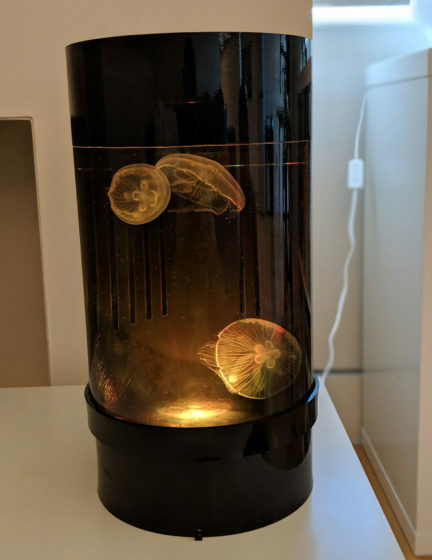 We have hand-picked this combination of tank and jellyfish to be ideal for first-time jellyfish owners. 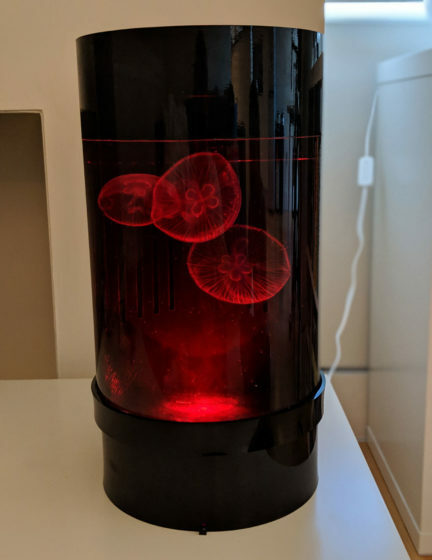 Jellyfish are no harder to keep than fish, you just need to follow some simple instructions! Feed 1-2 times per day. Use the feeding baster (included) to re-circulate food when it settles. Change 25% of the tank’s water every week. 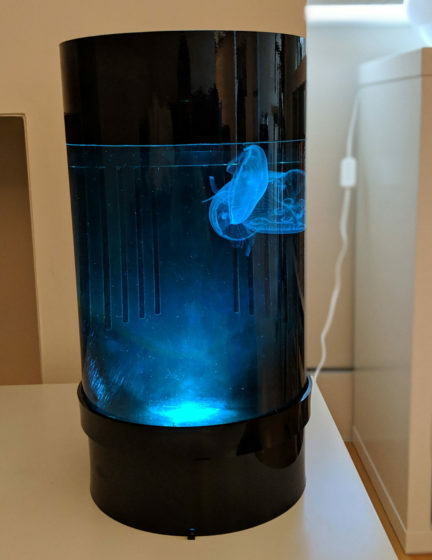 Add a cap-ful of JellyBio Maintain every week with your water change. Rinse the sponge filter every month. Change the Chemi-Pure Blue Nano pack every month. Just add water! You’ll need 8 litres of Salted RO Water (at SG 1.025), which you can obtain from most aquatic shops. It’s best to get about double this amount of water, to allow yourself spare water for your first few weekly water changes. We have a local aquatics shop finder here. 20 litres usually costs less than £5 from most aquatics shops. Not got an aquatics shop local to you? Try Caribsea Sea Pure Saltwater instead, which we sell online. See our Step by Step Guide to see how to put the tank together!